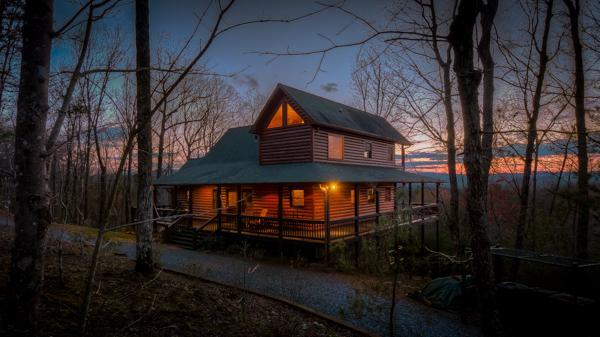 Few Blue Ridge cabin rentals can boast the spectacular sunsets you'll witness here. With 180-degree views facing west, you will have front row seats to beautiful skies at sundown each night. And if space is what you're looking for far away from the crowded city, Sunrock Sunset is the place for you. 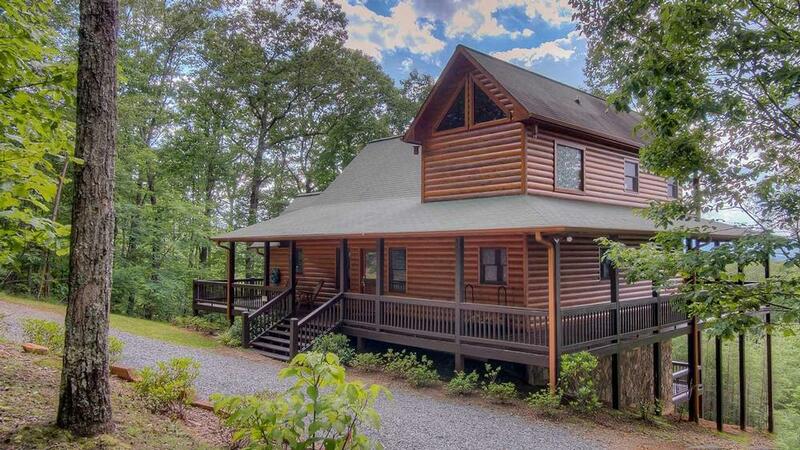 This homey cabin welcomes you with high-end furnishings and light wood walls throughout, with plenty of room to spread out. The main floor's large picture windows allow sunshine to stream through all day, and brings the splendor of nature right inside to you. 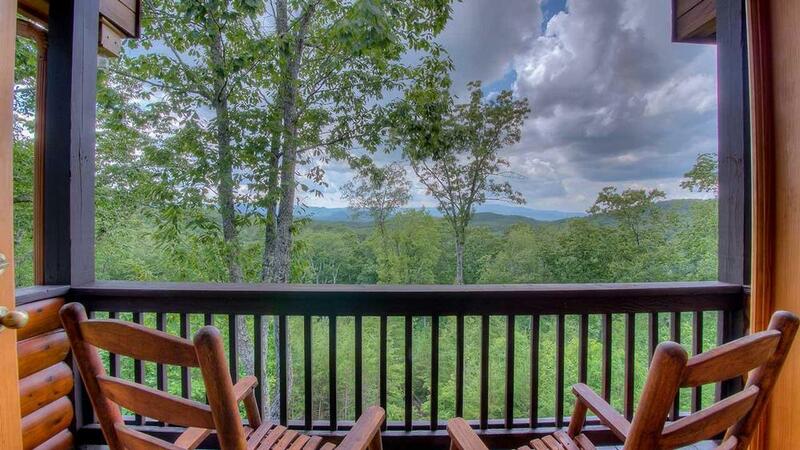 Framed by lush foliage, the deck and terrace offer breathtaking views of mountains in the distance and the forest below. There are so many delightful ways to spend your days here, any time of year. 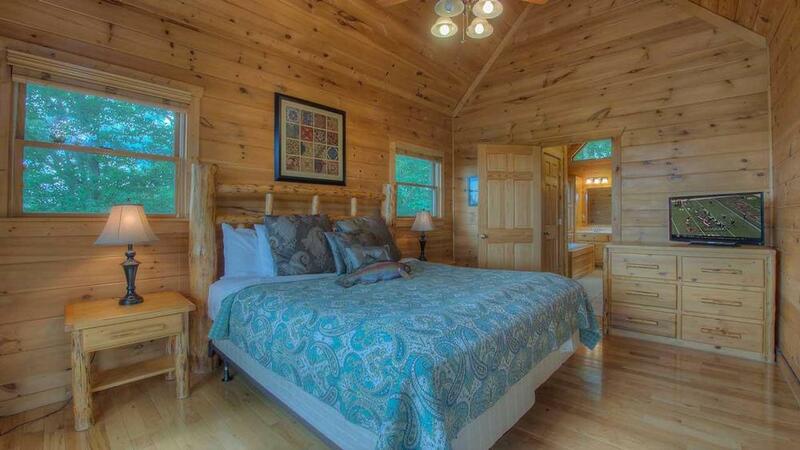 Wake up early and go whitewater rafting, or tube leisurely down the river. Have a picnic at the water's edge and catch a fish or two. Spend a dewy spring morning hiking or a fall afternoon horseback riding and apple picking. Afterward, come back home, open up the French doors and take an afternoon nap on the leather sofa, letting the cool breeze waft in. Pure bliss. At twilight, sit back and relax on one of the deck's six rockers or double swing to watch a glorious sunset. Afterward, get a fire going in the great room's wood-burning fireplace, and make dinner while everyone watches a game or TV show. The open kitchen makes it easy to entertain without missing out on the fun. There's plenty of room for everyone to dine inside, or bring your meal out to the picnic table for dinner alfresco. 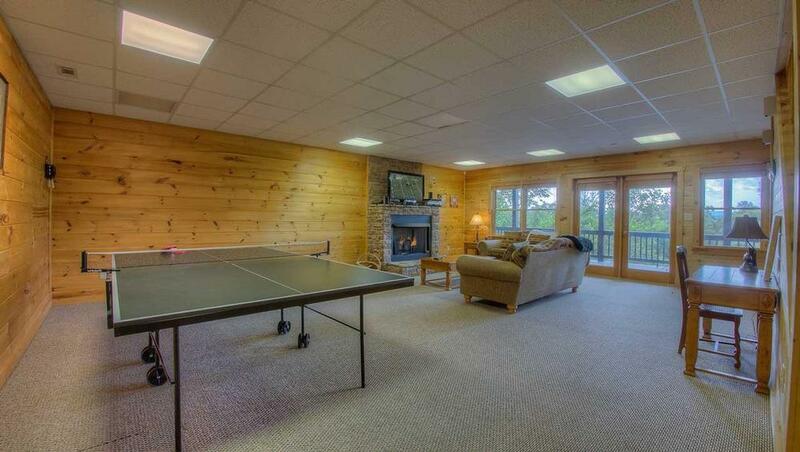 Cap off the night with a ping pong tournament downstairs or a refreshing dip in the hot tub. Night owls may stay up late, wrapped up in a PlayStation game. With beautiful, luxury bedding awaiting you, you'll look forward to a wonderful sleep at the end of each fun-filled day. 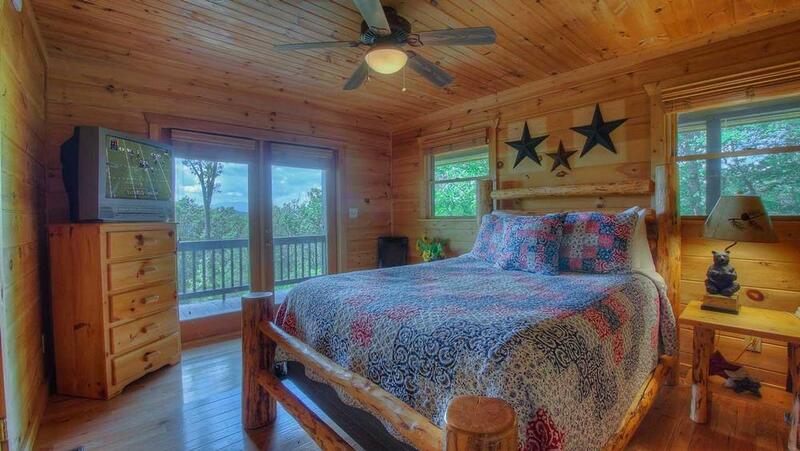 All three bedrooms feature rustic-inspired log furniture, luxury linens and great views. In the king master upstairs, walk out to your private balcony with a glass of champagne for a romantic toast under the stars. Or you can walk out on to the deck from the main floor's queen bedroom for some stargazing as well. 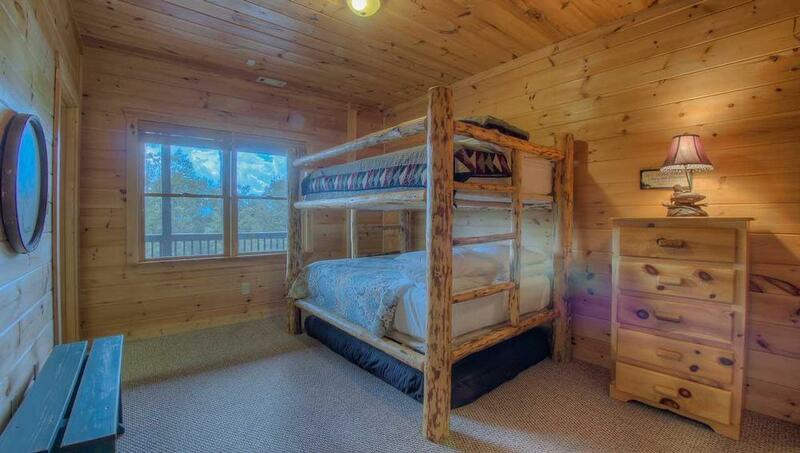 Full bunk beds on the terrace level make a great hideaway for the kids. They'll love tucking in to their cozy beds each night. Sunrock Sunset is a peaceful place away from it all to enjoy some space, reflect and rejuvenate. You and your loved ones will share special moments every day here to enjoy and remember for many sunsets to come. 10/18 - This was a wonderful home! Very comfortable and family friendly. 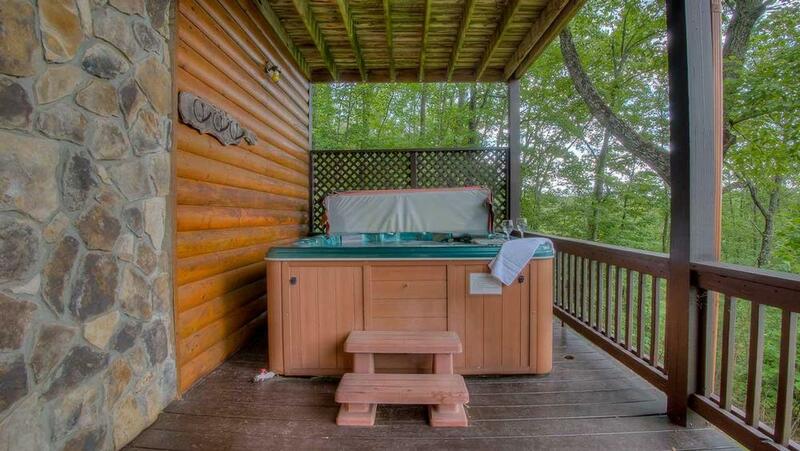 We loved the hot tub, the rocking chairs on the deck. We LOVED building fires in the fireplace. The kids loved the bunk beds and the games downstairs. Plenty for everyone to do! 08/18 - Very clean, provided all we needed. Kitchen is equipped with all cooking needs. It’s home away from home. The staff are very pleasant to deal with! and took care of our small mishap. Thank u for an enjoyable stay and definitely will recommend to every one of my family and friends! 07/18 - Enjoyed the view and the hot tub. The company is very easy to work with. 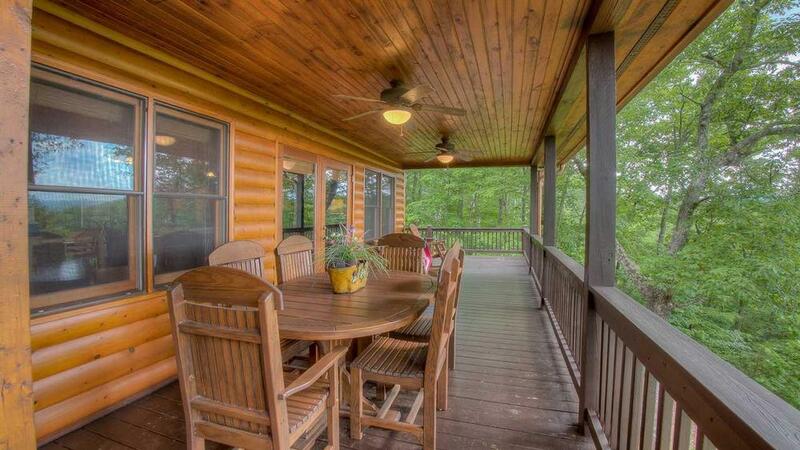 The cabins are clean and well maintained. 4/18 - Great view and very spacious! Very efficient and friendly staff. 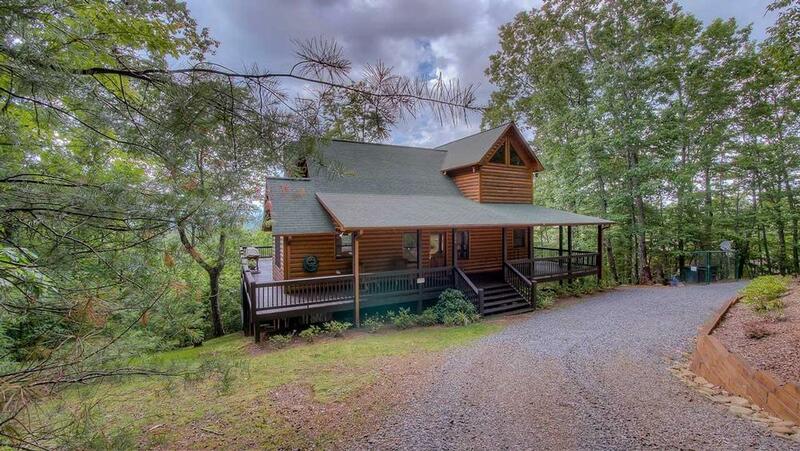 3/18 - An amazing clean cabin with lots of space, a fun game room and beautiful views! Super friendly staff! 07/17- Loved watching the sunsets! GREAT Views. Escape To Blue Ridge is great; we had air conditioning problems and they called us right back and had a HVAC guy out the next morning. Thank you! 04/17- Sunrock Sunset is a great little cabin. All of the amenities were great and we had an absolute blast. Top notch company. We'll book again soon! 03/17- The cabin was beautiful. 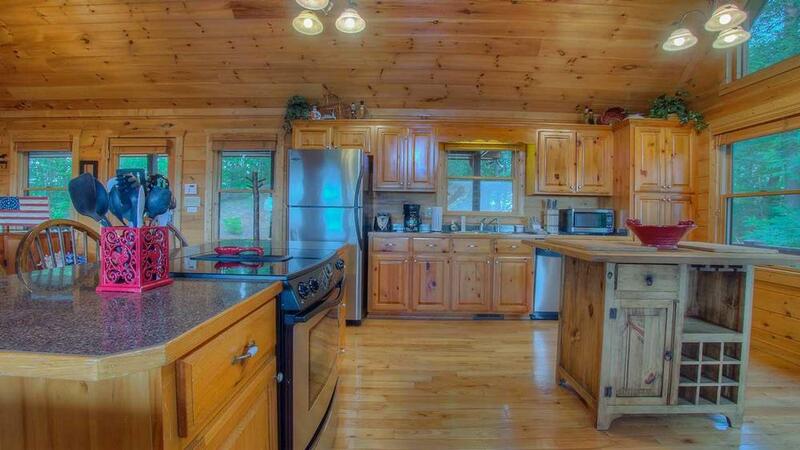 The kitchen was fully stocked and the view was amazing. Plenty of room for my party. 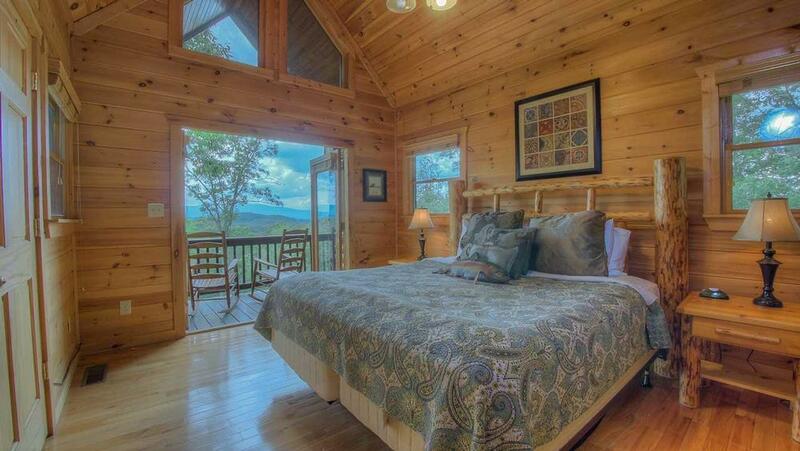 Escape to Blue Ridge is a fabulous company. I would never rent with anyone else. 11/16- Love the views and the amount of space in the cabin. The staff are very helpful. 10/16- The housekeeping staff did a great job, it was immaculate. 3rd time we have rented the same house, and looking forward to working with you again for next year. 06/16- Loved the view and hot tub. Everyone is so nice. 03/16- The view was great. 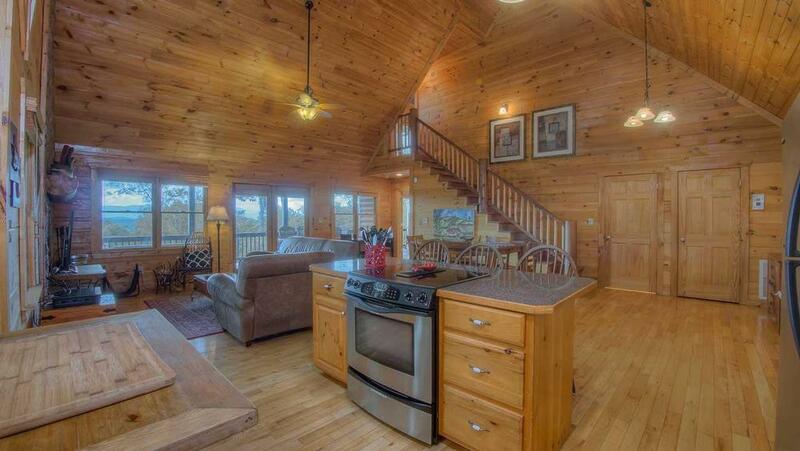 01/16- It is a big cabin with a great view. 11/15- The views were amazing. The game room and hot Tub was perfect for the kids. The staff was wonderful. We have nothing negative to say about any part of our trip and the staff made it that much more enjoyable. 10/15- We loved the location! 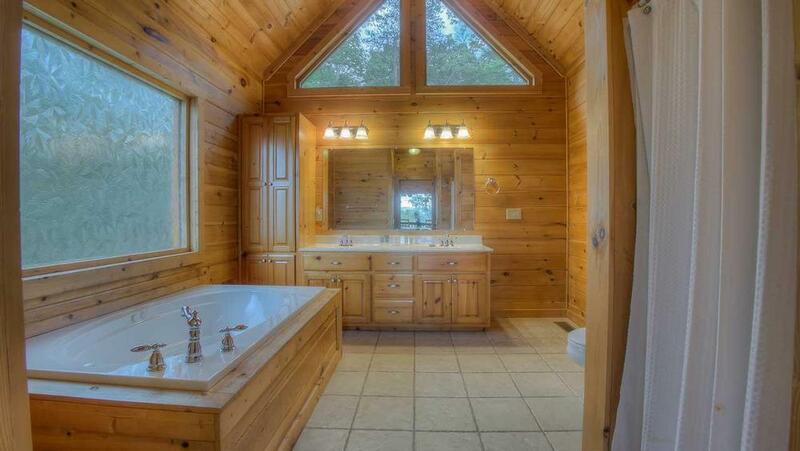 , fireplace and the hot tub. 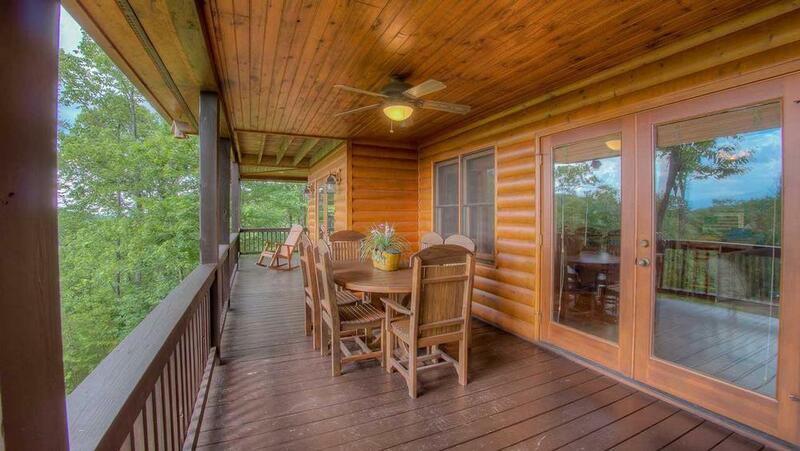 We have stayed in about five of your cabins for our anniversary get aways and have had a good experience each time. We Will Definitely Be Back. 10/15- Location,view and house set up was perfect for us. 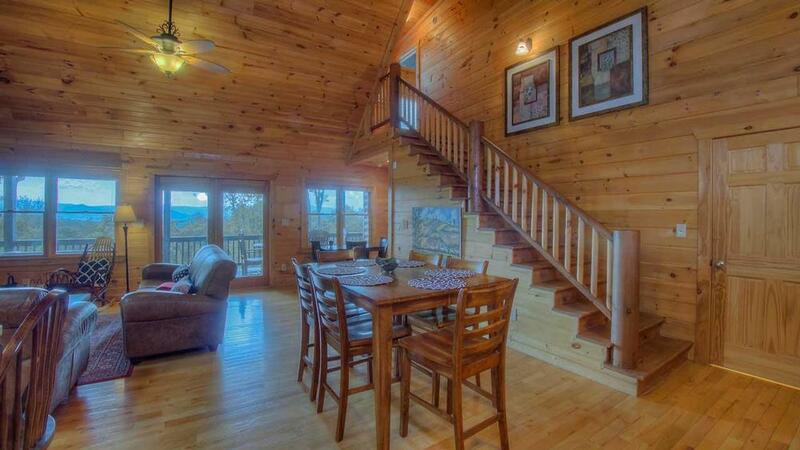 The whole vacation was wonderful, cant wait to rent the same cabin again for cherry picking season. enjoyed by the whole family. 10/15- Location was very convenient to Blue Ridge. 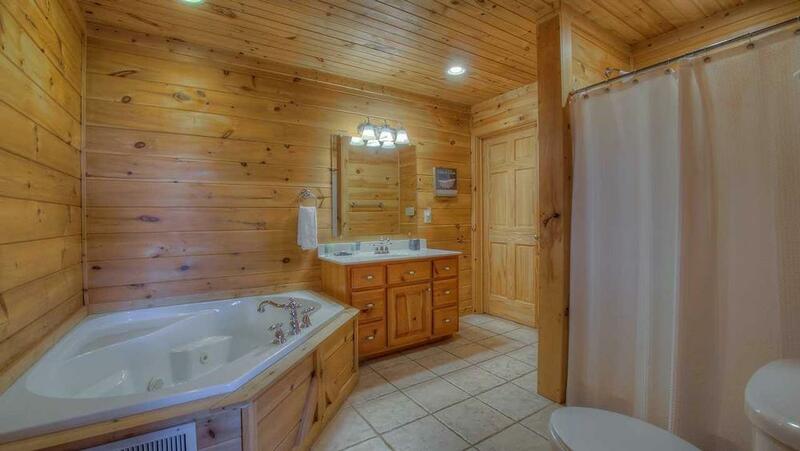 Very clean and nice amenities. 07/15- The chefs in our group raved about how well equipped the kitchen is in terms of cooking wares. The view is just amazing. 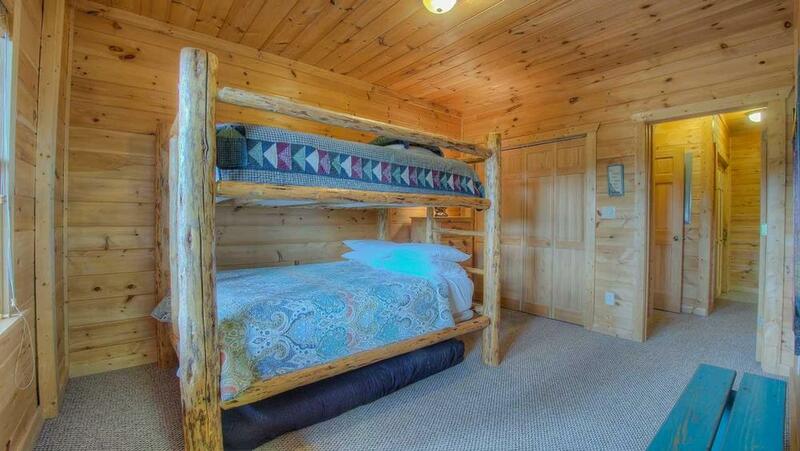 The bedrooms, all, were just so comfortable and roomy...very much an asset to advertise. I have been very impressed with whomever I have spoken with on numerous occasions. We used the website to make our arrangements...flowed very well. We called in as we left to brag on the place and received a very nice person, with tons of answers about our next visit to the region. We like doing business with you guys!!! 06/15- Great space and nice view. Will definitely rent from EBR again! 02/15- The views from the living room and bedroom....we loved relaxing in the hot tub every night with breathing in the cool mountain air. Everyone was GREAT to deal and provided any help we needed. 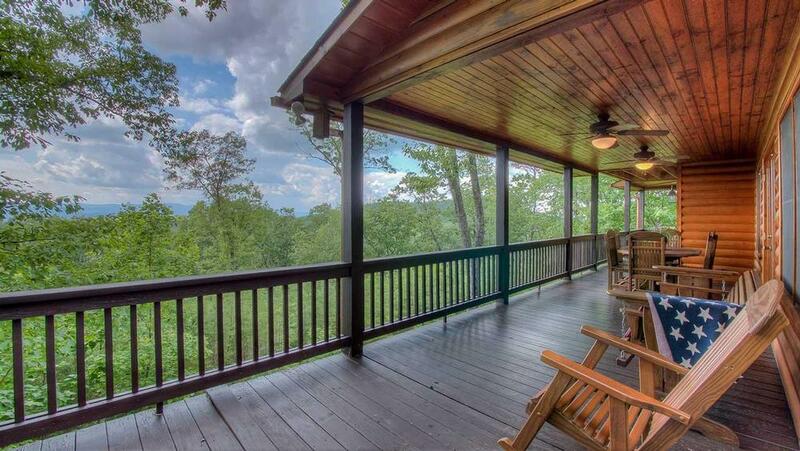 I would highly recommend Escape to Blue Ridge...we will use them again! 01/15- The view and the open floor plan were fantastic. 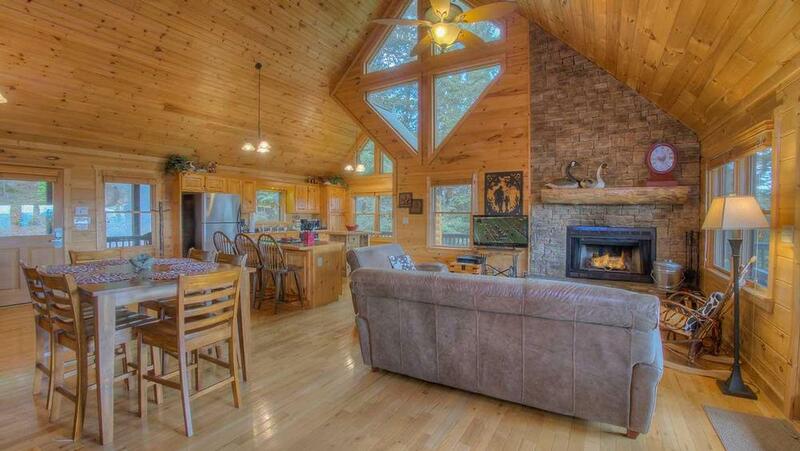 Cabin was clean and beautiful!. 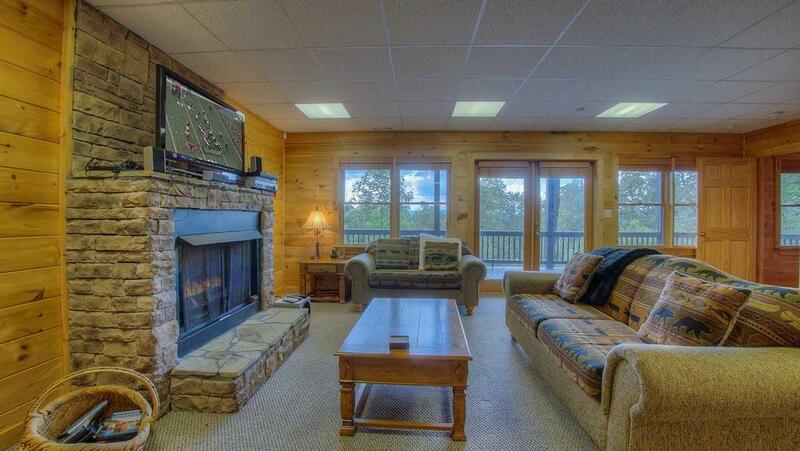 01/15- The panoramic views; the game room in the basement were awesome!. 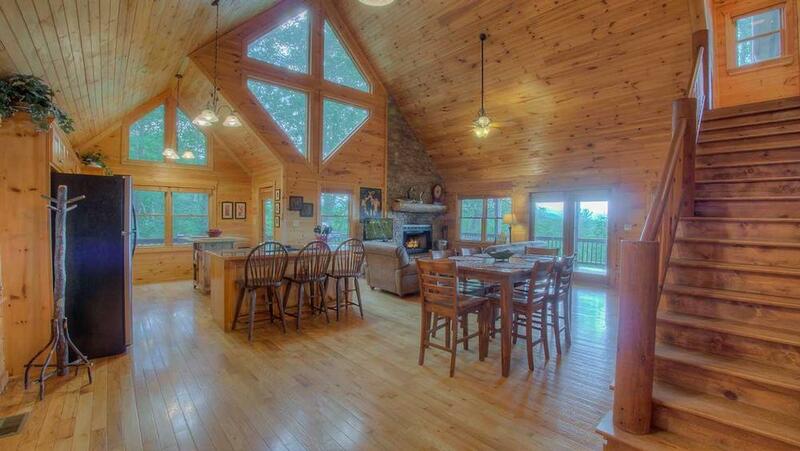 10/14- The open floor plan created a cozy atmosphere. Although the main floor plan is not that big, there was plenty of room. 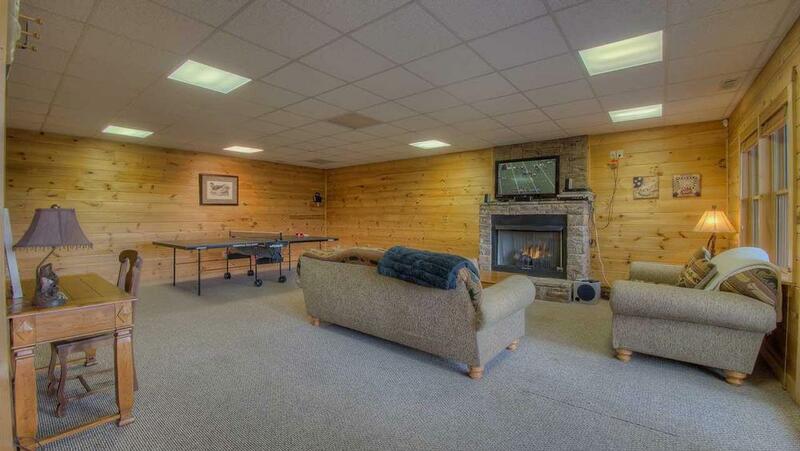 The large screened tv over the fireplace in the game room with the ping pong table was a pleasure for early nights. The surround porch was delightful. The fully equipped kitchen was a pleasant surprise and even contained a crockpot so I could make applebutter from the apples we picked. The location of Sunrock mountain was perfect and the paved roads getting there were nice. Lots of mountain terrain to walk the dog. 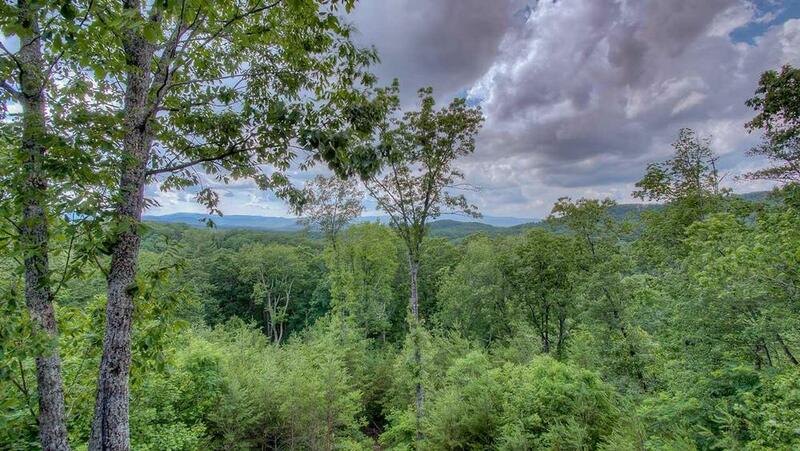 We will use Escape to Blue Ridge on our next rental, for sure! They came out upon our arrival and immediately took care of a yellow jacket nest. Your maintenance guy was very friendly and knowledgeable about the area - it was a pleasure to speak with him. 09/14- Well appointed (glasses, silverware etc) and the sunset view. 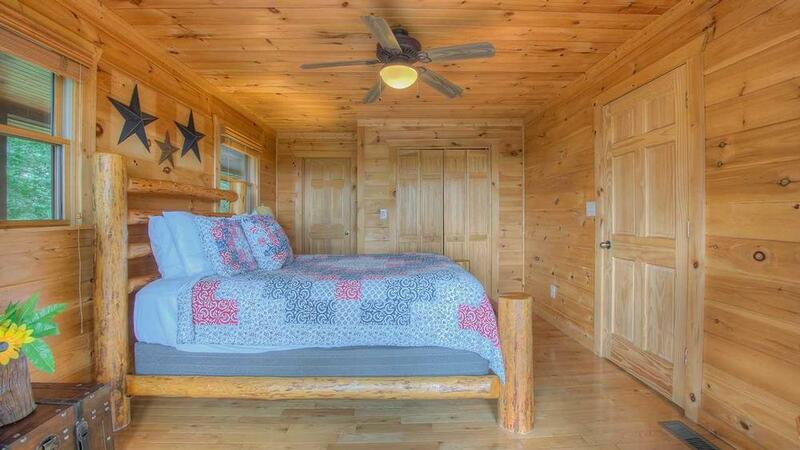 From the moment we walked in the door the cabin felt like home. The view was beautiful all day, but the sunset was spectacular. 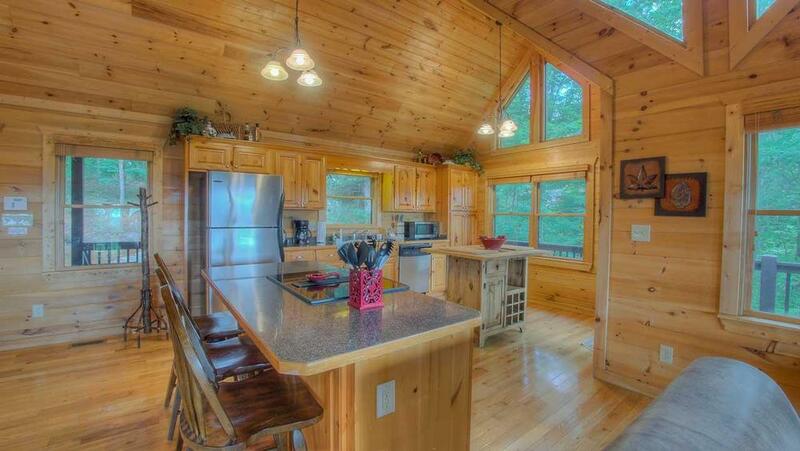 09/14- Our favorite features were the view, clean, well equipped kitchen, very spacious, pet friendly. Great stay. plan to return within the year. A special thanks to the owners who were willing to get us the SEC network before our visit. 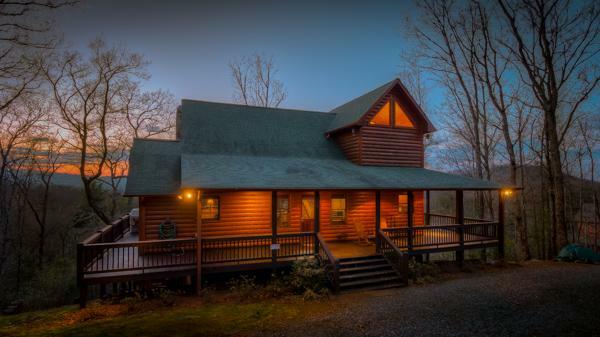 7/21/14 The cabin was well equipped and attractively furnished with 2 jacuzzi tubs indoors, 2 fireplaces, an outdoor hot tub, gas grill and wonderful deck with a great view of the sunset. Escape to Blue Ridge did a wonderful job in making our stay at Sunrock Sunset easy and enjoyable. The house had very good instructions on how things operate, things to do in the area, etc.